Are you looking for a fun and easy way to raise money? Don’t look any further, we have just the fundraiser for your organization or school – Ronald McDonald House Charities of Hawaii’s McFun-Raiser Program. Ronald McDonald House Charities of Hawaii in partnership with McDonald’s Restaurants in Hawaii is excited to share with you information about this unique Fund-Raiser that will allow your organization or school to raise funds while helping to support the children and families of Hawaii’s Ronald McDonald House. Your organization or school sells McFun–Raising coupon books and earns $2 per book sold. Your organization or school purchases the coupon books from Ronald McDonald House Charities of Hawaii for $3 per book and sells it to the community at $5 per book. Each book contains six McDonald's Restaurant food coupons and one free youth admission with the purchase of an adult ticket (a $10 value) redeemable at Honolulu Theatre for Youth for a total approximate value of $23. $3.00 per book is required upon receipt of the coupon books. 50 book minimum with first order. Flexible payment schedule is available for large orders. Payment must be made with school or organization check, cashier’s check, cash or money order payable to Ronald McDonald House Charities of Hawaii. 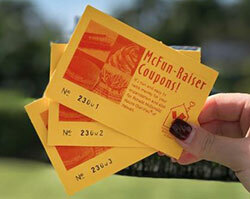 McFun–Raising coupon books must be picked-up from RMHC-HI, located at 1970 Judd Hillside Road (Manoa). For neighbor island orders, coupon books will be shipped. 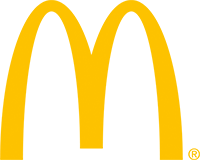 McDonald's food coupons are redeemable at any participating McDonald's Restaurants in Hawaii (74 locations throughout Hawaii) and the FREE youth admission coupon is redeemable at Honolulu Theatre for Youth. All coupons expire on December 31, 2019. *Note: One coupon per visit. Coupon cannot be combined with any other coupon or offer. One free youth admission with the purchase of a regular adult ticket. Some restrictions apply on coupons. RMHC-HI at (808) 973-5683 ext. 244.